"This partnership accelerates our work with IPG Mediabrands, and opens the door to close collaboration on new ad products in 2017." 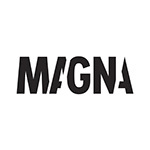 LOS GATOS, Calif. & NEW YORK--(BUSINESS WIRE)--MAGNA, the intelligence, investment and innovation unit of IPG Mediabrands, today announced an industry-first strategic partnership with Roku, Inc. to deliver targeted advertising to OTT audiences. Through this partnership, IPG Mediabrands clients will gain accelerated access to the advanced advertising capabilities of the Roku® platform, including precision targeting, programmatic workflows, interactivity, and audience measurement. MAGNA’s partnership with Roku further cements the agency’s video diversification efforts. During the 2016 Upfronts, MAGNA secured the largest ever Google Preferred deal and shifted a portion of clients’ TV advertising spend to YouTube. Partnering with Roku builds on these efforts, enabling MAGNA clients to reach viewers who have shifted their TV consumption to OTT. MAGNA clients already active with Roku include BMW, Coca-Cola, The Hershey Company, MillerCoors, JetBlue, Dunkin Donuts, Charles Schwab, IHOP, Sony Pictures Entertainment and Office Depot. MAGNA is actively expanding its television advertising strategy across emerging platforms like OTT, enabling the agency to provide client solutions at the pace of the consumer. According to Nielsen, in December 2016, Roku represented 48 percent of monthly active streaming players. Roku data, coupled with the proprietary data stack of Cadreon, the programmatic arm of IPG Mediabrands, will provide clients with the ability to precisely target audiences on the Roku platform. Roku is also the industry’s first and only OTT platform to support Nielsen’s Digital Ad Rating (DAR) measurement. In an industry-first move, all IPG Mediabrands campaigns will be DAR measured, with the goal of bridging the gap between TV and OTT advertising. OTT viewing, and digital video more generally, are growing rapidly. Ad-supported viewing is now the fastest-growing segment on the Roku platform, accounting for half of the top 250 most-watched channels. These figures aligned with MAGNA’s latest Global Advertising Forecast, released in December 2016, which projected that digital advertising spend will surpass TV this year. IPG Mediabrands was founded by Interpublic Group (NYSE: IPG) in 2007 to manage all of its global media related assets. Today, we manage over $39 billion in marketing investment on behalf of our clients, employing over 9,000 marketing communication specialists in more than 130 countries. IPG Mediabrands is a new world agency group designed with dynamic marketing at its core. Our speed, agility and data smarts ensure we continue to create growth for many of the world’s biggest brands. IPG Mediabrands’ network of agencies includes UM, Initiative and BPN as well specialty business units including Ansible, Cadreon, Healix, Identity, the IPG Media Lab, MAGNA, Mediabrands Insights, Orion, Rapport, Reprise, and Society.